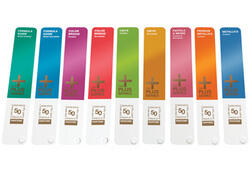 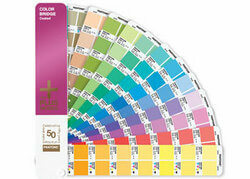 The PANTONE PLUS SERIES COLOR BRIDGE Coated provides 1,677 process colour simulations of all solid PANTONE Colors in a convenient side-by-side comparison format, on coated stock. 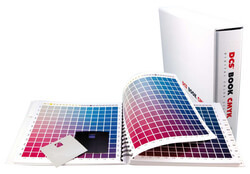 Now graphic designers, pre-press professionals and printers have more colours than ever to unleash your passion and let your creativity soar! 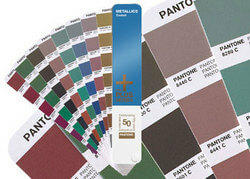 An invaluable multi-use colour reference tool, PANTONE COLOR BRIDGE can be used to select and specify solid PANTONE Colors, to determine how a PANTONE colour will appear when reproduced in CMYK, or to create optimal display of PANTONE Colors on monitors and web pages.